JAKARTA, Apr 19, 2018 - (ACN Newswire) - PT Bank CIMB Niaga Tbk, PT Indosat Tbk and PT JCB International Indonesia, a subsidiary of JCB International Co., Ltd. which is the international operations subsidiary of JCB Co., Ltd., have launched a credit card of CIMB Niaga Indosat Ooredoo Card. The launch of the product was conducted by CIMB Niaga Consumer Business Director, Mrs. Lani Darmawan; Indosat Ooredoo Chief Business Officer, Mrs. Herfini Haryono; and JCB Indonesia President Director, Mr. Koichiro Wada. 1. Free monthly 2 GB data all year long, with minimum spending of IDR 800,000 per month. 2. Cash back up to 10% for Indosat Ooredoo postpaid billing through Quick Pay CIMB Niaga facility or CIMB Clicks channel, also prepaid purchase through CIMB Clicks channel. 4. Fixed installment payment with low interest rate for 3, 6, or 12 months. 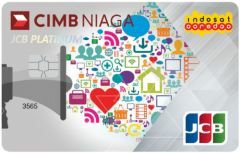 CIMB Niaga's strategy in this collaboration is to enhance credit card penetration in the payment market through Indosat Ooredoo's large customer base as a mobile network provider, particularly community segments. 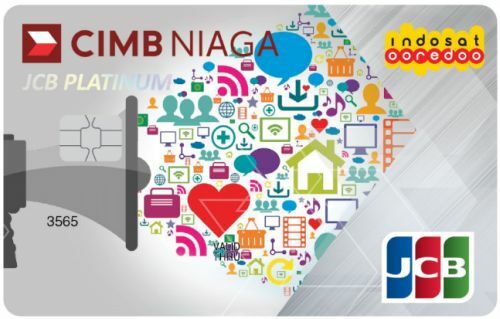 The strategic synergy of Indosat Ooredoo with CIMB Niaga is a shared commitment to provide the best value services to our customers and CIMB Niaga customers. Meanwhile, JCB is very proud to be a part of the collaboration for the CIMB Niaga Indosat Ooredoo Card. JCB has various privilege merchants across Indonesia, including dining merchants, and also has special programs with travel and e-commerce merchants, so that cardmembers can enjoy these services and benefits as well as the Indosat Ooredoo program. JCB is confident that this partnership can provide more privileges and comfortable cashless life to cardmembers, and CIMB Niaga Indosat Ooredoo Card can satisfy the needs of the target segment. JCB is a major global payment brand and a leading credit card issuer and acquirer in Japan. JCB launched its card business in Japan in 1961 and began expanding worldwide in 1981. Its acceptance network includes around 30 million merchants in the world. JCB cards are now issued in 23 countries and territories, with more than 110 million cardmembers. As part of its international growth strategy, JCB has formed alliances with hundreds of leading banks and financial institutions globally to increase merchant coverage and cardmember base. As a comprehensive payment solution provider, JCB commits to providing responsive and high-quality service and products to all customers worldwide.